KELLY ROBSON’s fiction has appeared in Asimov’s Science Fiction, Tor.com, Clarkesworld Magazine, and several anthologies. Her Tor.com novella Waters of Versailles won the 2016 Aurora Award, and she has also been a finalist for the Nebula Award, World Fantasy Award, Theodore Sturgeon Award, Sunburst Award, and John W. Campbell Award for Best New Writer. 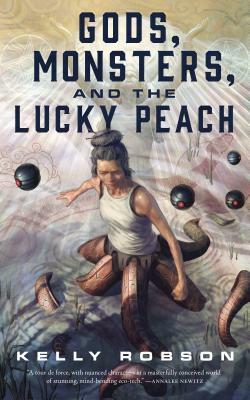 Her stories have been included in numerous year’s best anthologies, and she is a regular contributor to the Another Word column at Clarkesworld.